Enjoy the best inspirational, motivational, positive, funny and famous quotes by Andy Webster. Use words and picture quotations to push forward and inspire you keep going in life! 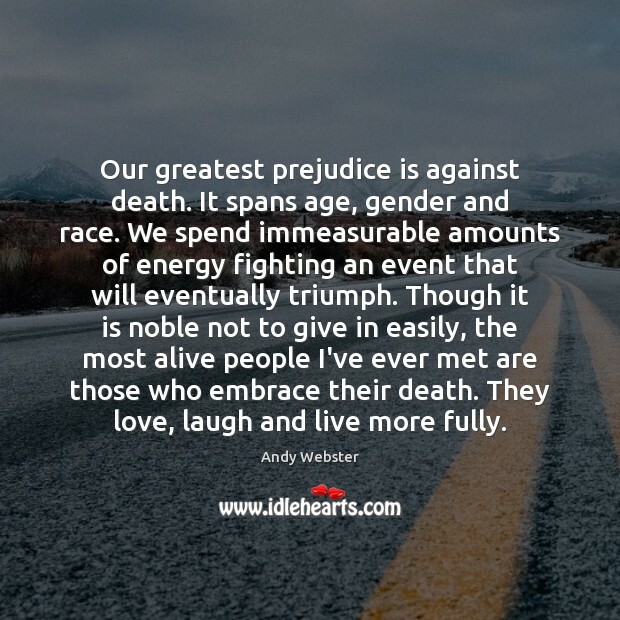 Our greatest prejudice is against death. It spans age, gender and race. We spend immeasurable amounts of energy fighting an event that will eventually triumph. Though it is noble not to give in easily, the most alive people I've ever met are those who embrace their death. They love, laugh and live more fully.